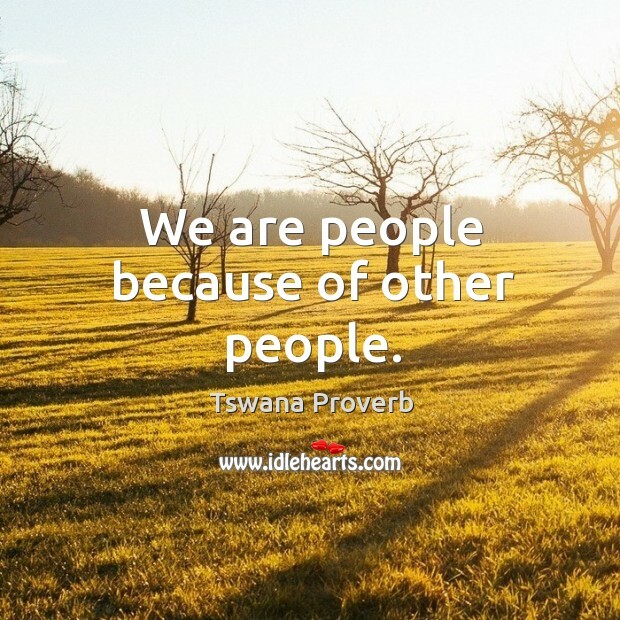 Collection of famous Tswana proverbs, true sayings and wise words. Use words and image sayings to keep you moving forward! 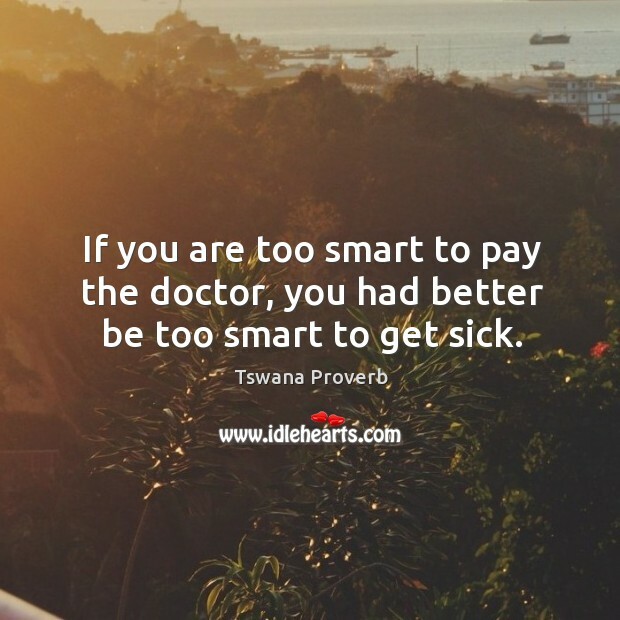 If you are too smart to pay the doctor, you had better be too smart to get sick. 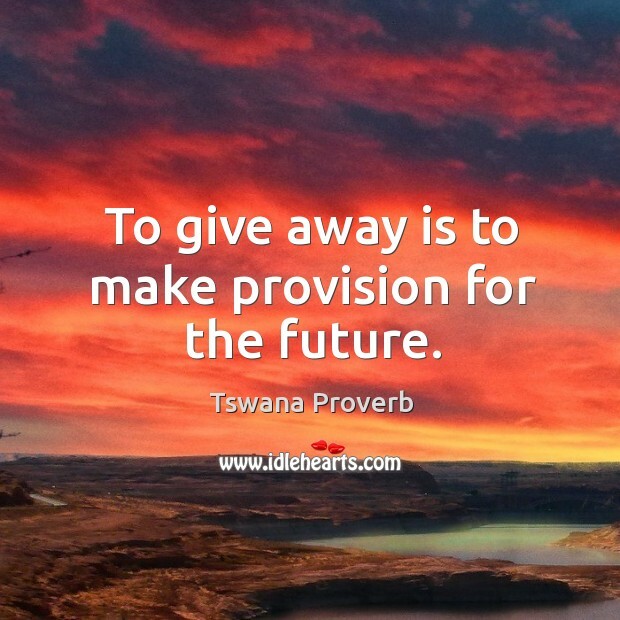 To give away is to make provision for the future. 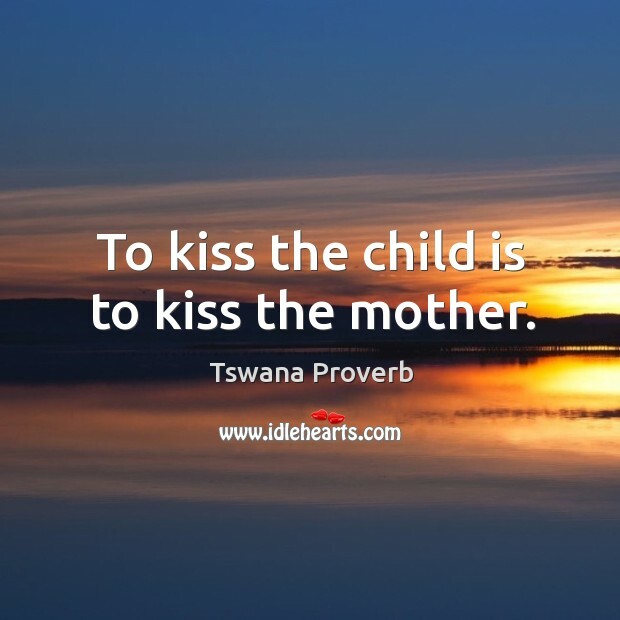 To kiss the child is to kiss the mother. 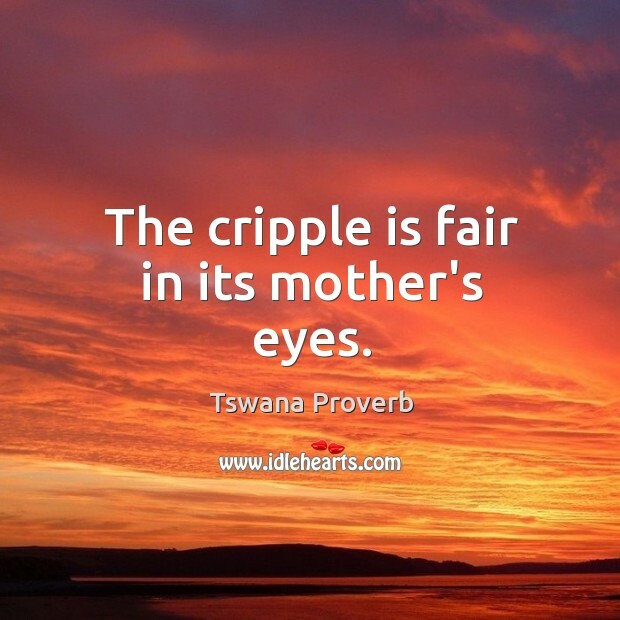 The cripple is fair in its mother's eyes. 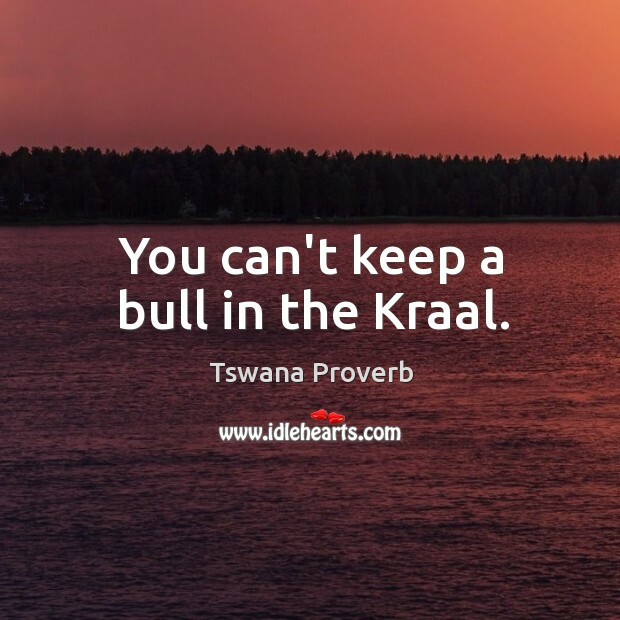 You can't keep a bull in the Kraal. 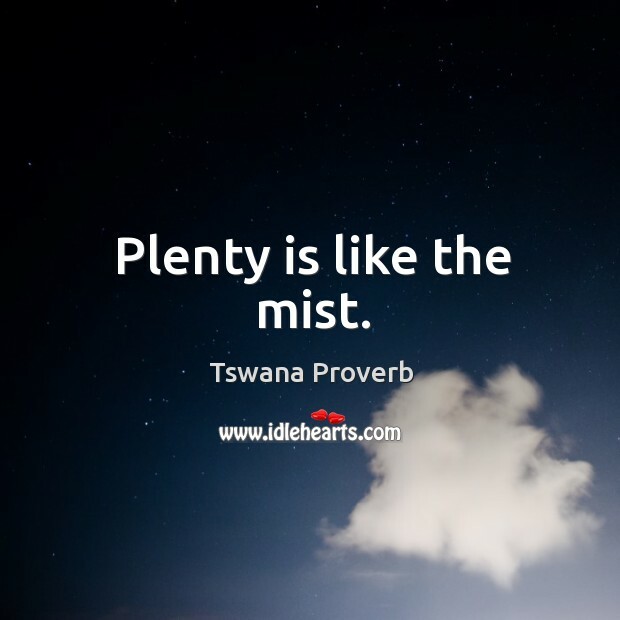 Plenty is like the mist. 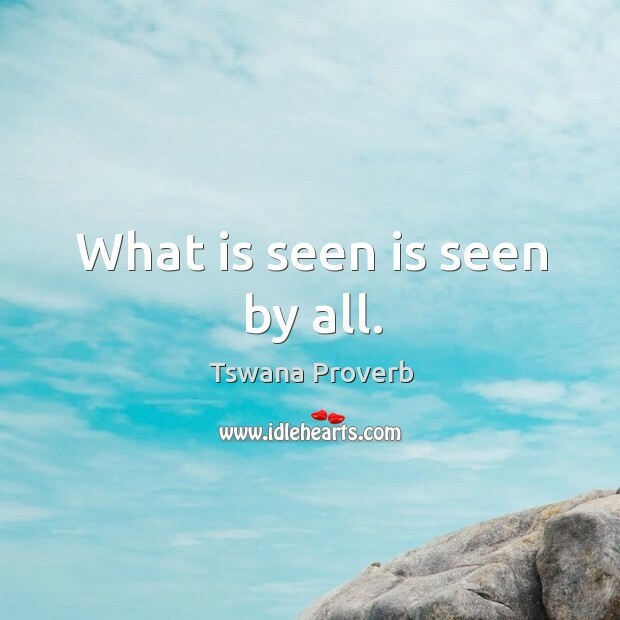 What is seen is seen by all. 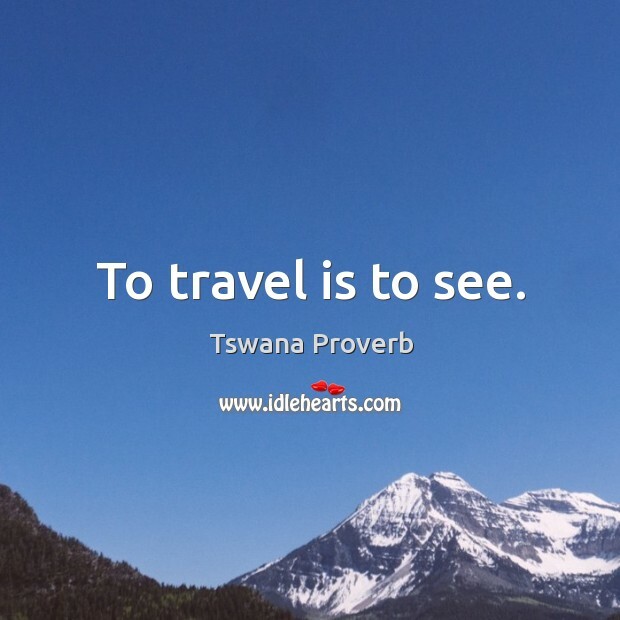 To travel is to see. 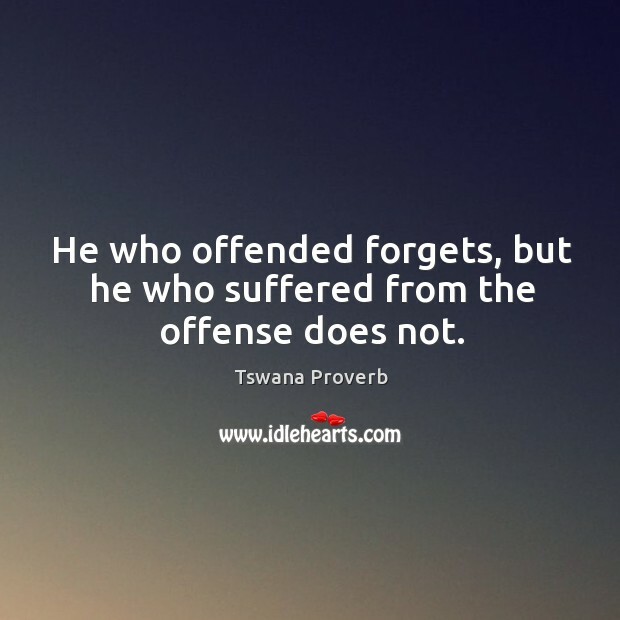 He who offended forgets, but he who suffered from the offense does not. 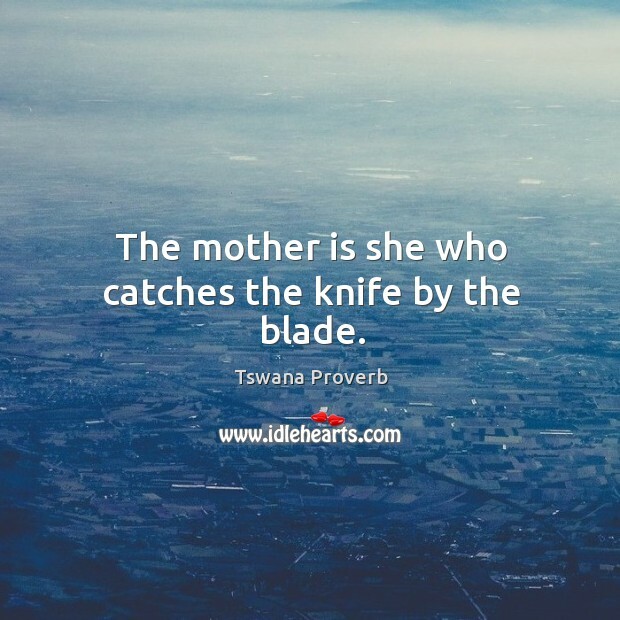 The mother is she who catches the knife by the blade. 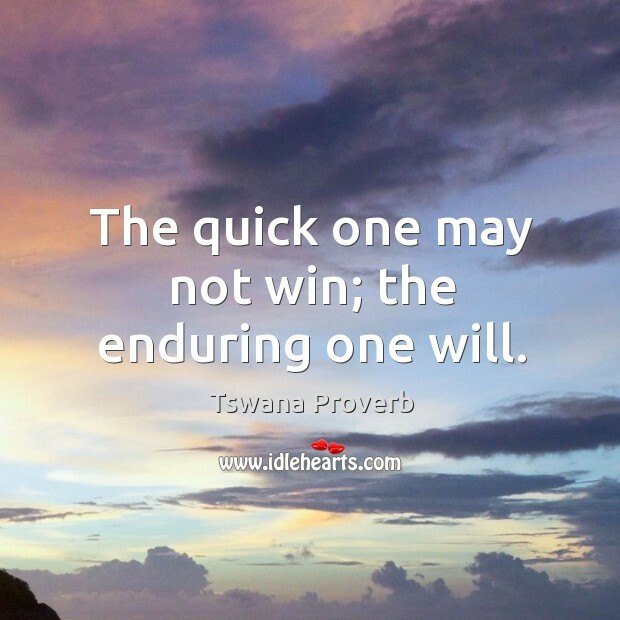 The quick one may not win; the enduring one will. We are people because of other people. 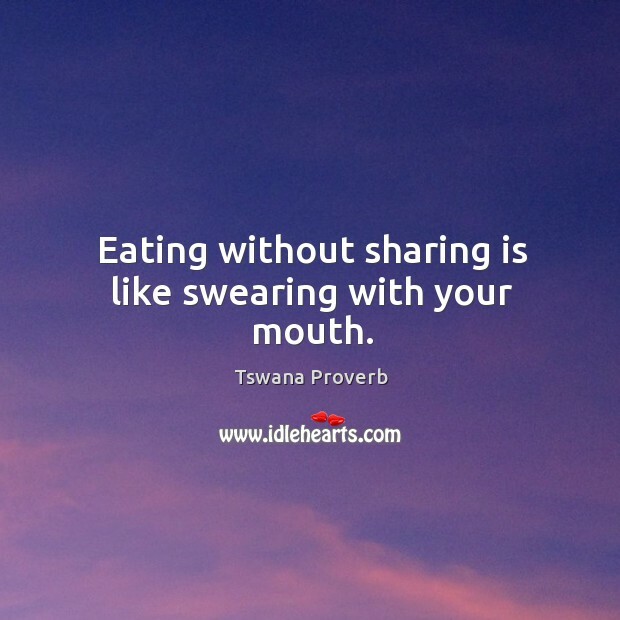 Eating without sharing is like swearing with your mouth. 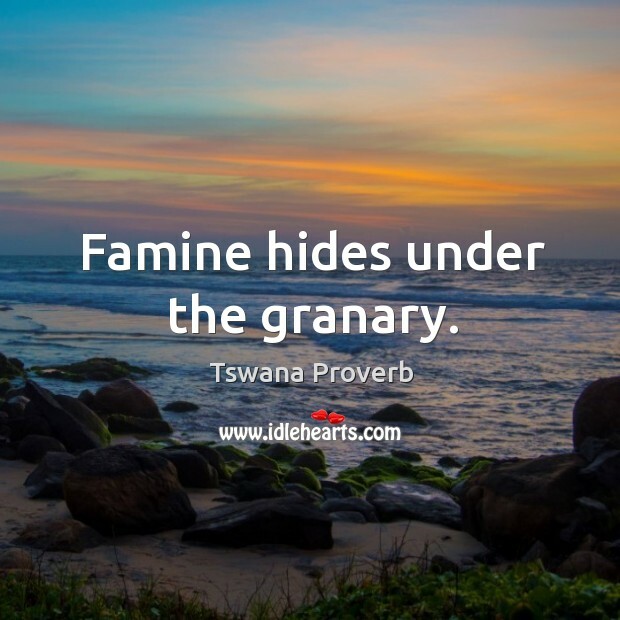 Famine hides under the granary. 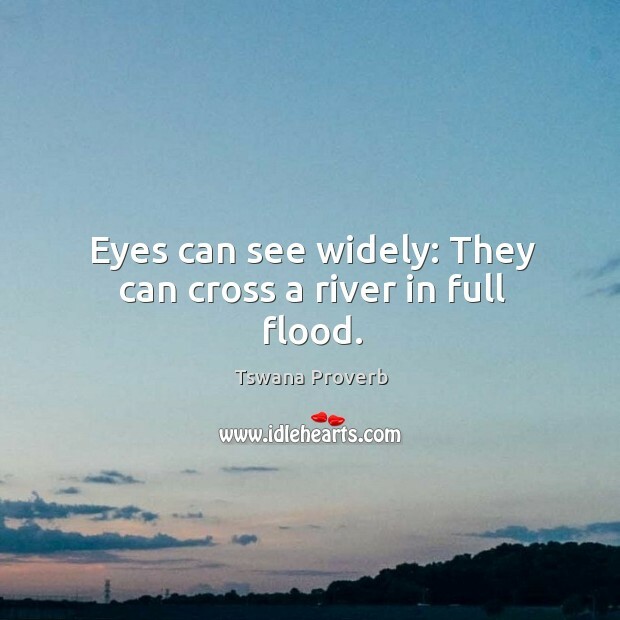 Eyes can see widely: They can cross a river in full flood.